Good afternoon! 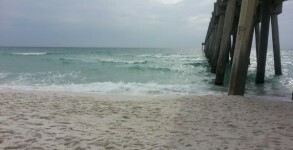 The sun has come out and it is beautiful out here on Pensacola Beach. There is some slight bump on the Gulf today.